This is the first stop on a new slate of reviews I'll be posting on Nikki-Michelle's Spot. Before I ever had dreams of becoming a writer, I was a reader. That hasn't changed. I love to read. A good book can always take me away like Calgon. 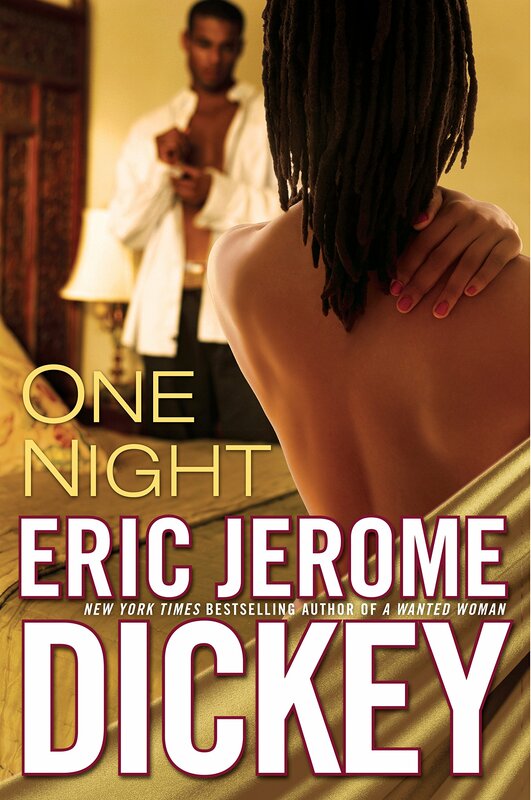 Next up is 'One Night' by Eric Jerome Dickey. I actually reviewed this on Amazon a few months back, but wanted to add it to my website. So here goes and no, this is NOT on Kindle Unlimited. I read this book in a matter of hours.I'm not quite sure how to explain this one. While the ending made me want to toss my laptop across the room, I know that Jackie and Mr. Orange County will stay with me for a long time. This story takes place over the span of twelve hours and I don't feel like anything was missing. I loved the way race was discussed. That "Welcome home"/ "Halfway home" thing made me chuckle a bit. This book reminded me of the EJD of old. This type of writing is what made me a die-hard EJD reader. From the moment I'd read "Cheaters", Mr.Dickey had reeled me in. I've been waiting a long time for another book like this from Mr.Dickey. That's not to say his other books hadn't moved me, but this one simply moved me more. Now I did have to pull out my notepad as he taught me some new words throughout the book, which I thoroughly enjoyed. There isn't too much I can say without spoiling the book. I'm not a thorough reviewer like Mr. Rubicon, but what I can say is if you loved EJD's style of writing in Cheaters, Liar's Game, Lovers and Friends, Sister Sister, etc., then please pick this book up. You will not hate yourself afterwards. I've missed this level of preeminent (see what I did there?) writing. Kudos, Mr. Dickey! Now I patiently wait for Naughty or Nice part 2. I give this book fives pages (think five stars)! Nikki-Michelle recommends this book!